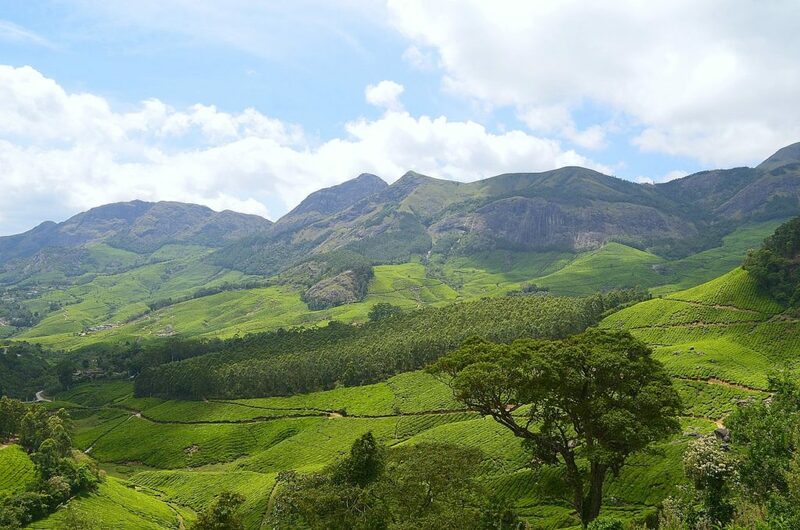 You are here: Home / Travel / Must-Visit Places in Munnar! Owing to the magnificent scenic beauty, the Western Ghats have always enchanted travelers from all around the world. The rustic lifestyle nestled in the heart of pure nature is commendable. When it comes to taking the beauty, no place on the Western Ghats can be better than Munnar in Kerala. If you are looking for an excellent vacation, you should start by taking a look at the Munnar hotel list. That way, you can enjoy your stay amidst the lap of the ever-gorgeous Mother Earth. While you are vacationing in Munnar, you cannot afford to miss these eight places that can possibly open up a whole new chapter in your life. It feels good to stumble upon a refreshing waterfall while trekking down the winding pathway amidst the lush greenery of the forest area. If this is what attracts you, the Atukkad Waterfalls is a must visit. This cascading waterfall with the silvery ripples glowing in the sunshine is a delight. However, if you are driving to the place, make sure your driving skills are good enough to surpass the challenging road to the waterfall. If you want to connect with the people from the past and acknowledge their lifestyle, you must visit the Muniyara Dolmens. This place will give you a chill down your spine when you listen to the tales from the past. One of the most revered churches in Kerala is the Christ Church situated in Munnar. With a majestic Gothic architecture that speaks of the grandeur of the place, the Christ Church is also a homely place where you can attend the Sunday Mass and be at peace. If you are inspired by films and believe that your lover will come into your life if, when you call out the name, it echoes back, you must visit the Echo Point. Try the strength of your love; and, if it fails, you can always enjoy a delightful picnic with friends and family in this charming place. Many people would love to get a glimpse of the sunlight caressing the tea, coffee, and cardamom plantations simultaneously. Thus, if you are one of these people, the Pothamedu View Point is an excellent place to visit. When it comes to experiencing the authentic flora and fauna of the Western Ghats, you cannot miss the Eravikulam National Park. Stated as a UNESCO World Heritage Site, this national park boasts of being the natural home of thousands of unique species like Nilgiri langur, Nilgiri marten, Atlas moth (largest in the world), lion-tailed macaque, small-clawed otter, and others. Do you remember the Pandavas being sent on an exile in the Mahabharata? If yes, you will be thrilled to know that it is firmly believed that the Pandavas had stepped on this very soil during their exile. Thus, Marayur is regarded as a holy place by many, and you should not miss the chance to hear the ancient tales once you visit this beautiful place. The Mattupetty Dam is one of the best places for couples. You can enjoy the serene environment and boat on the lake. It’s a great chance at seeing the setting sun illuminate the distant horizon. At least for one last time. Regardless to say, Munnar is a place you will love to visit. If you haven’t booked your hotel yet, you should take a look at the Munnar hotel list for a comfortable stay. The things to do and where you stay is so important. They are a big part of ensuring your trip becomes memorable, that’s for sure! Have you ever been to Munnar? Previous Post: « 8 Top Men’s Skin Care Tips!